The US Department of Homeland Security is looking for suggestions on how to modernize one data center and consolidate another, as it shifts more workloads to the cloud. 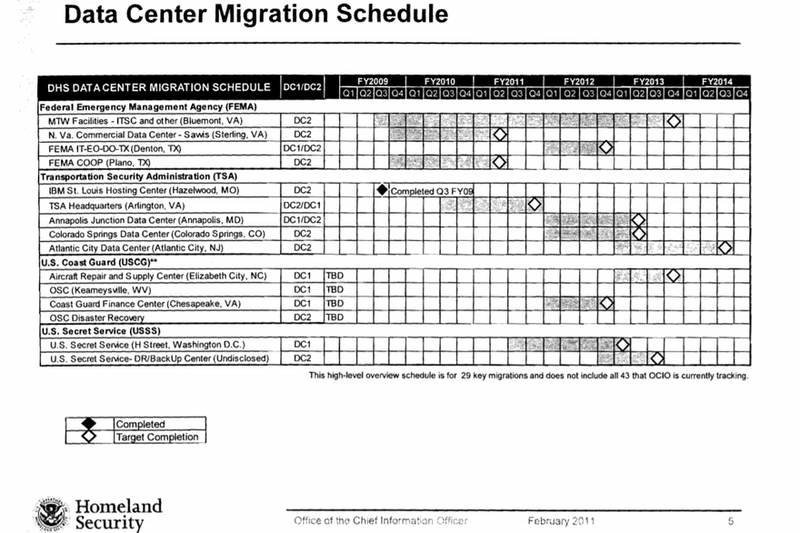 In a Request for Information, first reported by FCW, the DHS noted that six percent of its applications were run in the cloud as of December 2018, and "a total of 171 of 628 (26 percent) systems are currently either planning, in development, actively migrating, or operational in the cloud." 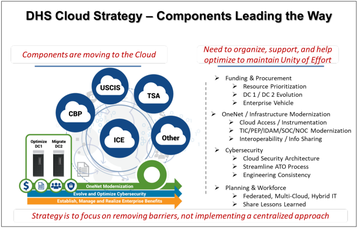 Under its 'EAGLE Next Generation' modernization initiative, DHS is pursuing "a hybrid, multi-cloud, federated and vendor neutral" overhaul of its $6.8bn IT portfolio. 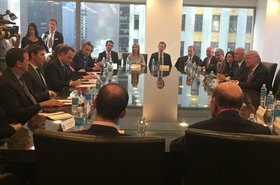 Last year, department CIO John Zangardi created a cloud steering group (CSG) to help organize the transition. "The Acting Deputy Secretary [Claire Grady], under the auspices of the CSG, has directed Headquarters and Components to make appropriate plans to reflect the expiration of the current Data Center 2 contract in June 2020. Simultaneously, we are right sizing our footprint in Data Center 1 to support optimization of that facility." 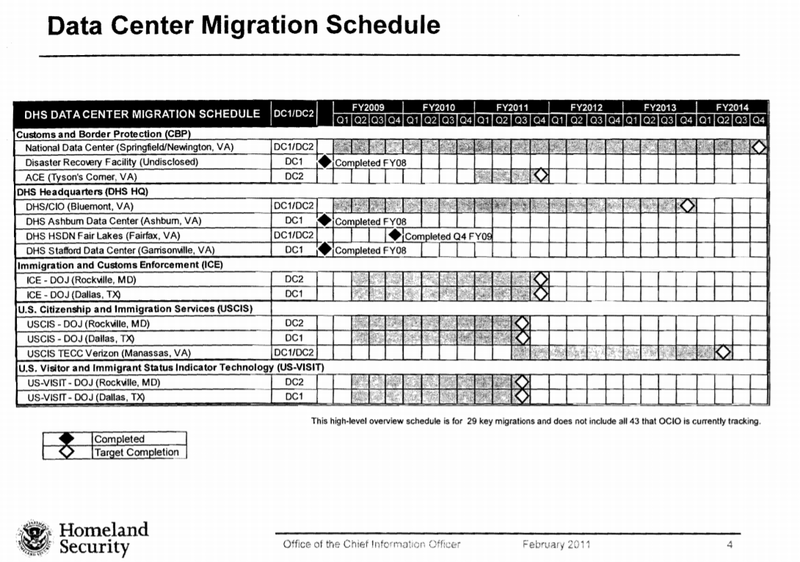 The department said that 30 percent of the applications leaving Data Center 2 may need assistance in migrating to the cloud, and that "most have indicated challenges and high risk" to leave by the target date. Hewlett Packard Enterprise has owned and operated the DHS Data Center 2 since September 2007. 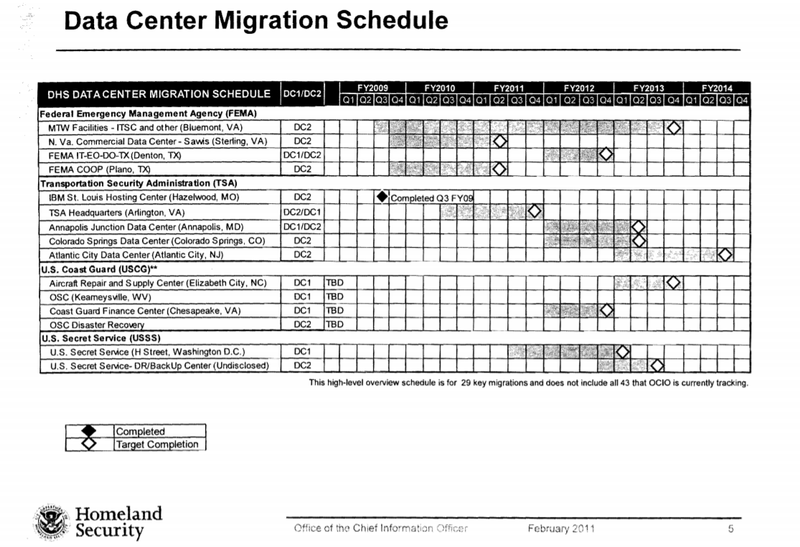 CSC Government Solutions (spun off from CSC into CSRA, which was acquired by General Dynamics IT) has operated the DHS Data Center 1 since July 2008, but the site itself is government-owned. DC1 is located at the National Center for Critical Information Processing and Storage at the NASA Stennis Space Center in Mississippi, and public documents from 2011 state that it has "approximately 63,000 square feet of raised floor space" and the "complex consists of three large attached buildings." 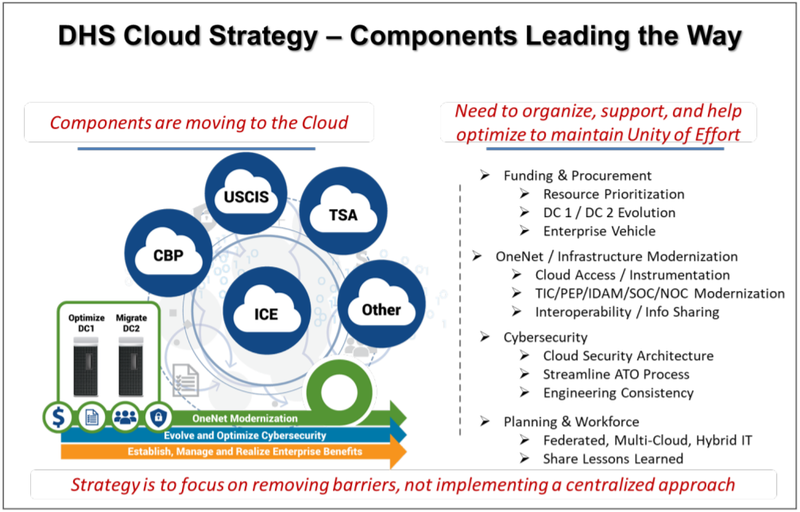 While the DHS is now trying to move to the cloud, the two facilities are actually the result of a previous, aggressive consolidation effort that saw the IT infrastructure of the agencies under its purview limited to just two sites. 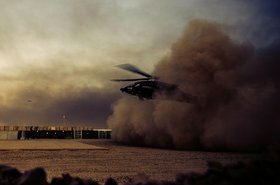 Now, with the RFI, the DHS is seeking advice on how to keep that consolidation momentum going, as well as take advantage of the advances in cloud technology and artificial intelligence. 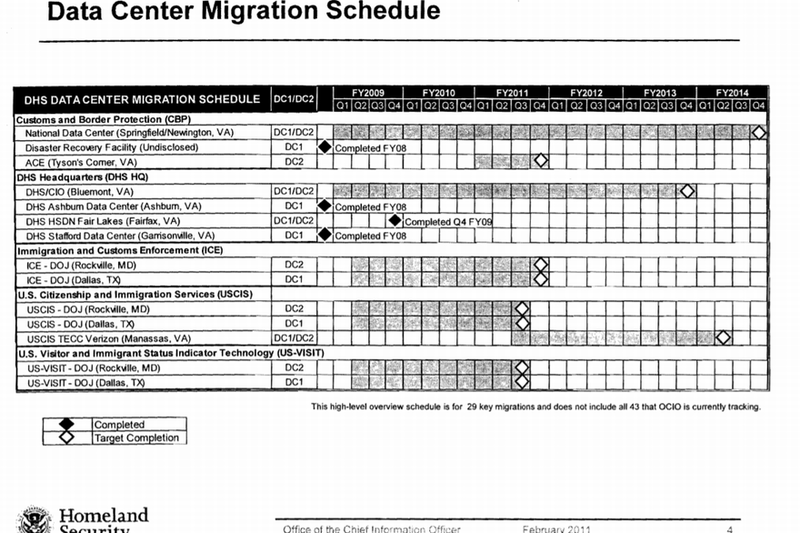 Homeland Security's Immigration and Customs Enforcement (ICE) agency already uses controversial software from Palantir to track and deport immigrants, while Microsoft Azure hosts many of ICE's services. 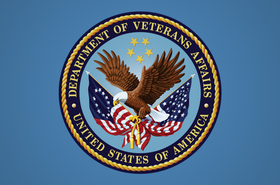 Responses to the RFI are due March 20, 2019.